The results of the World’s 50 Best Bars 2018 Awards are out, and two stellar Japanese cocktails bars have made it onto the list. Led by famed Japanese bartender, Hidetsugu Ueno, Bar High Five rose this year from 13th to 12th position, making it the list’s Best Bar in Japan. This is no small feat as, with his fame and popularity, Ueno-san is usually travelling around the globe, consulting for different bars, and hosting cocktail events. Just recently, I saw him hosting an event in Taipei. Therefore, it is impressive that his bar continues to feature strongly on the World’s 50 Best Bars Awards when he isn’t physically at his bar. This shows the skill and consistency of his bar team and their dedication to providing stellar cocktails and drinks in Tokyo’s renowned Ginza district. Sadly, Ben Fiddich, the Shinjuku bar led by botanist and cocktail expert Hiroyasu Kayama has dropped from 36th position to 49th. Kayama-san is known far and wide across the cocktail world for growing his own herbs in a farm outside of Tokyo, distilling his own small-batch spirits, and venturing into the forest to forage ingredients for his unique concoctions. 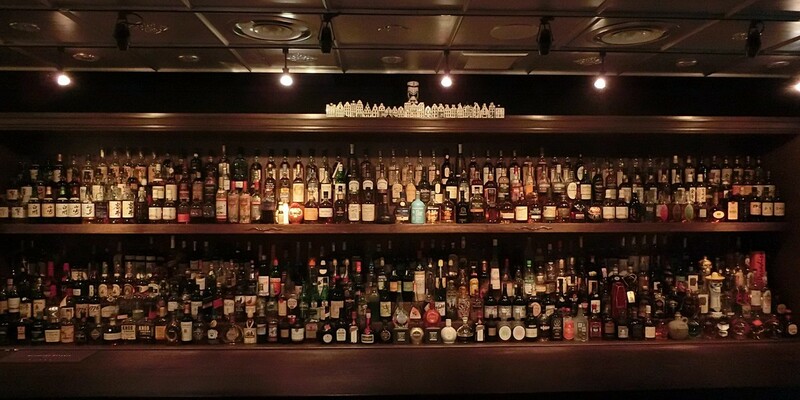 When customers visit the bar they are asked to choose a base spirit, between whisky, gin, Amaro, and absinthe. Kayama-san then creates a unique cocktail with the chosen base, after asking the drinkers’ flavour preferences. While the drop in position is unfortunate, it’s impressive that the bar even features in the world’s top 50, especially since it is fully run and operated by Kayama. Looking at Asia, Singapore featured heavily on this year’s list with 5 different bars making it onto the list, two of which made it to the top 10. Manhattan came in 3rd while the city’s amazing gin bar, Atlas, came in 8th. The Singapore Tourism Board just announced a partnership with the company behind the 50 Best list, which seems like quite the coincidence. Hong Kong’s Old Man made its debut in 10th position, winning the Highest New Entry Award. Taipei’s Indulge Experimental Bistro featured in 38th place, a drop from 28th place last year. Let’s hope Japan, and Asia as a whole continues to feature strongly on the list in the coming years. For the first time, in 2021, the ceremony for the World’s 50 Best Bars will be held in Singapore, making it the first country outside the UK to host the awards. Perhaps the coming years will show a shift towards Asia, as the awards approach the continent.